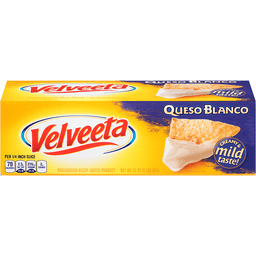 Velveeta Pasteurized Recipe Cheese Product Queso Blanco. 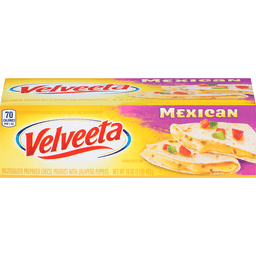 Creamy & mild taste! 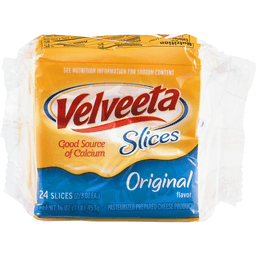 Per 1/4 inch slice: 70 Calories. 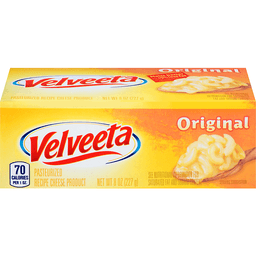 2.5g Sat fat, 13% DV. 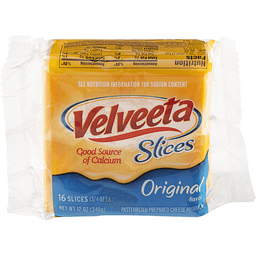 370mg Sodium, 15% DV. 2g Sugars. 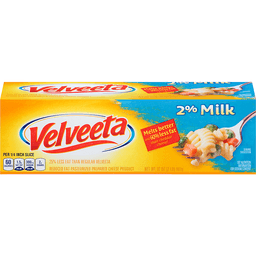 Net Wt 32 oz (2 lb) 907 g. Try Velveeta Jalapeno and Sharp Cheddar. Call: 1-800-634-1984. Please have package available. 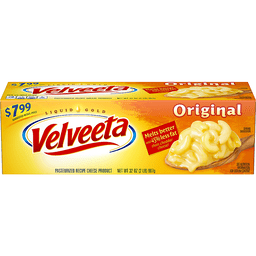 Visit us at: www.velveeta.com. 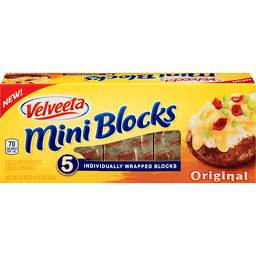 © Kraft Foods.